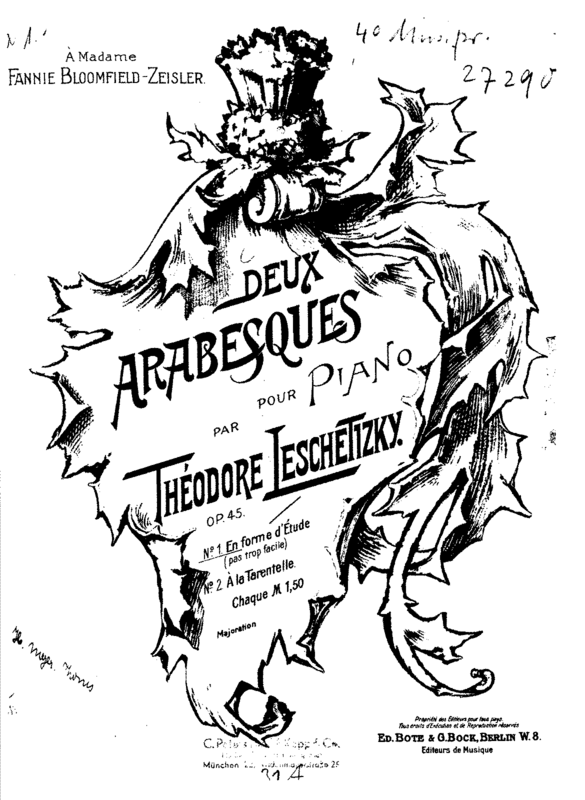 Theodor Leschetizky (22 giugno 1830 – 1915): Deux Arabesques per pianoforte op. 45. Clara Park.